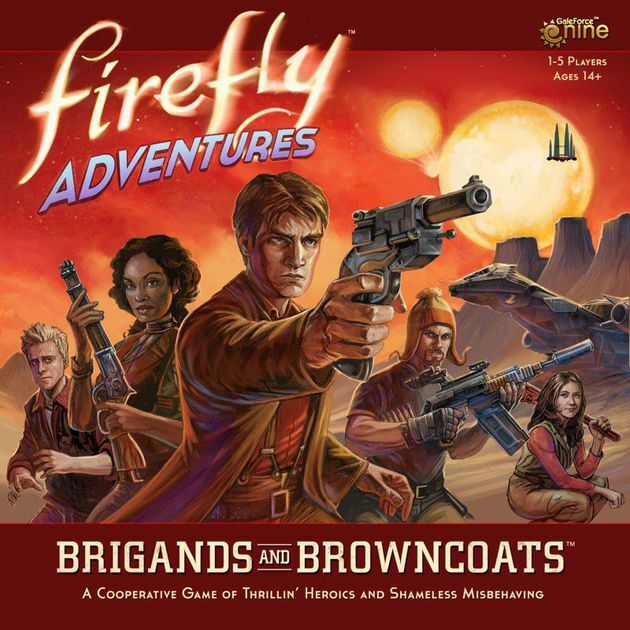 I love a good cooperative game, and Firefly Adventures is a good cooperative game. Five crewmembers (new characters will be available in upcoming expansions) run a mission to gain money and intel and still escape within a certain amount of time. There might be a safe to crack, a terminal to hack (hello, Kaylee! ), and an abundance of goons to try to wheedle information out of. And oh yeah—certain actions turn a player from casual mode to heroic mode, and once someone is spotted in heroic mode, said goons turn downright unfriendly. There are some fun plays on individual strengths; Zoe can move Wash if she’s in casual mode, and Wash can move Zoe if he’s in heroic mode. And Jayne can brawl while still being casual, if you can stretch your imagination ;) There are plenty of practical accessories available, but of course there are the iconic tools and accessories such as Jayne’s hat and Mal’s tight pants. I disagree with the game designers about one thing: duct tape is absolutely a weapon in Kaylee’s hands. The scenario we played through seemed fairly well balanced. It didn’t feel like we were guaranteed to win, but it also didn’t feel like winning was impossible. We were lucky to roll a skill that delayed the terminal alarm, definitely saving our bacon. Be sure you keep track of how much time it will take to make it to your exit point; it might be better to bail on a mission than to run out of time and get caught. The design is clever; the bottom of the box becomes one of the rooms you need to infiltrate. We found the most difficult part was deciding where to place each character (based on their strengths and weaknesses) at the start. It is easy to get sucked into analysis paralysis. Hopefully, this will become less of a problem after playing through a couple of scenarios and getting a better sense of how the game actually flows. I am curious about campaign mode; I suspect it plays really, really well.